Second graders have been busy learning about story elements and character traits. Story elements of focus have been beginning, middle, and end, story summaries, and characters. They learned about character traits and how to use elements of the story to learn more about each character. As a culminating activity, students were asked to select a favorite book and carefully pay attention to the story elements and character traits of each character in the book. Students then created story webs and summarized the beginning, middle and end of their book of choice. 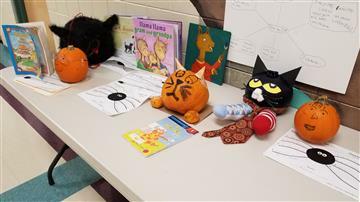 To make the activity even more fun, families were asked to decorate a pumpkin to resemble one the characters in the book. Thanks to our Artist in the Schools program, our students were able to experience and learn about the history and process of jazz during a performance by Greg Gelb and the La Fiesta Latin Jazz Quartet. The musicians demonstrated the influence of Latin and African rhythms on the Early Jazz of New Orleans, Swing, Bebop and Modern jazz. 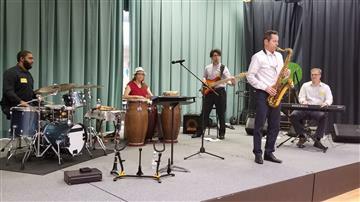 They played music by players such as Duke Ellington, Dizzy Gillespie and Tito Puente. Some of our students were even invited to dance with the band! 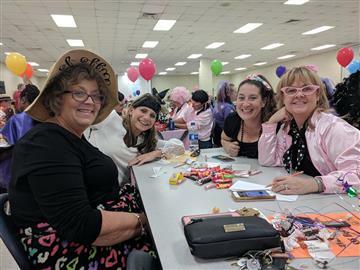 Our wild and crazy crew representing East Clayton as the "Ageless Spellers Over Decades" at the JCPS Spelling Bee! It is reported that they did a great job and made it past the halfway point! 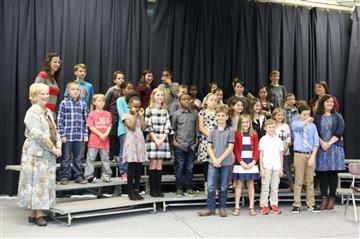 There are some tough words thrown out at the spelling bee so that is a great accomplishment! As you can tell, they definitely had a great time representing our school! 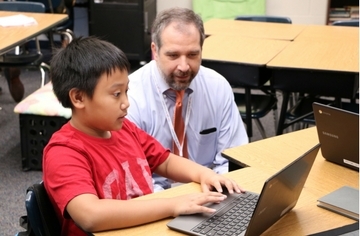 Johnston County Public Schools and Google partnered together to give a behind-the-scenes look at how schools in the district are transforming their approach to teaching and learning using innovative technology on Tuesday, Sept. 19.